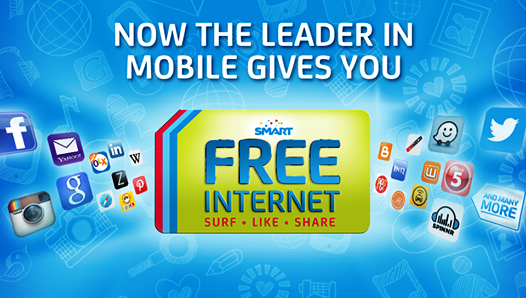 SMART and its subsidiaries has launched a nationwide free internet service, this promo will have 30MB of data limit and it will be replenished on the next day. Supported on all kinds of mobile phones like Android, iPhone, and even Windows phone. You can even connect via USB broadband or pocket WiFi just remember there is a limit. You also need to know a few condition that you have to consider. 30MB data limit per day until November 30, 2014 unless extended. Available on SUN, TNT, SMART prepaid subscribers. Not available to postpaid subscribers. Not available for downloads, torrent, streaming, viber (VOIP), online games unless you use some tricks which I will share soon. You have to register EVERYDAY. Minimum load of P1.00 required for continued use. (Not free at all, I guess). Never use this promo on desktop, 30MB data will be gone before you know it. It is recommended to browse using phone only. Opera Mini is very very recommended. This is not a trick, it's legit! Enjoy, and thank you for this free service MVP.